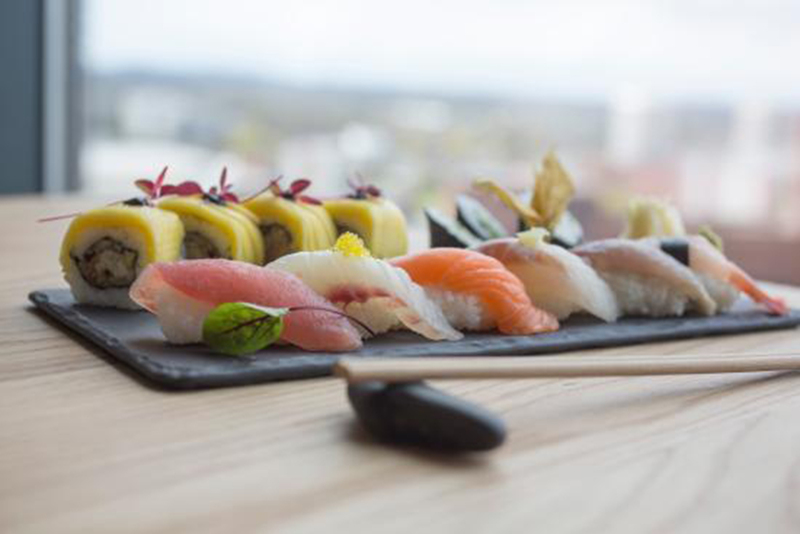 Japanese inspired brilliance has brought the wave of Sushi upon Birmingham, a city distant to any nearby shores now bolsters a genuine fresh Sushi experience. 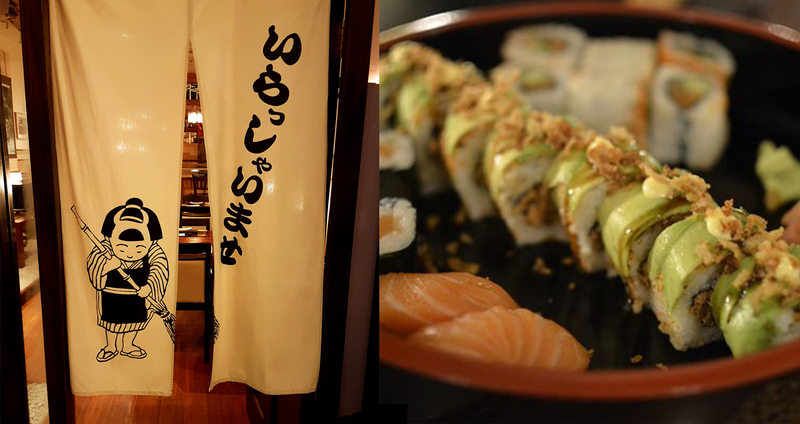 From the big time buffets like Kyoto Grill in China town to the hidden gems such as Sushi Passion on Colmore Row. 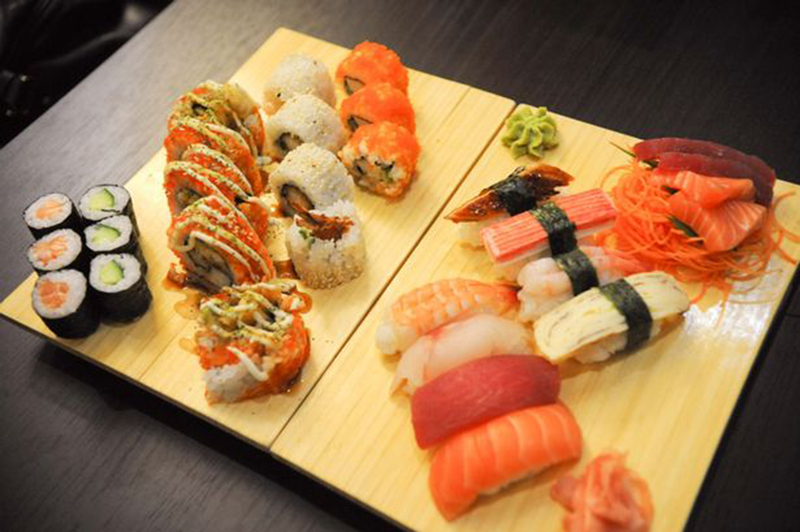 None can escape the flavorful explosion that is Sushi. A veteran in Brums sushi game. 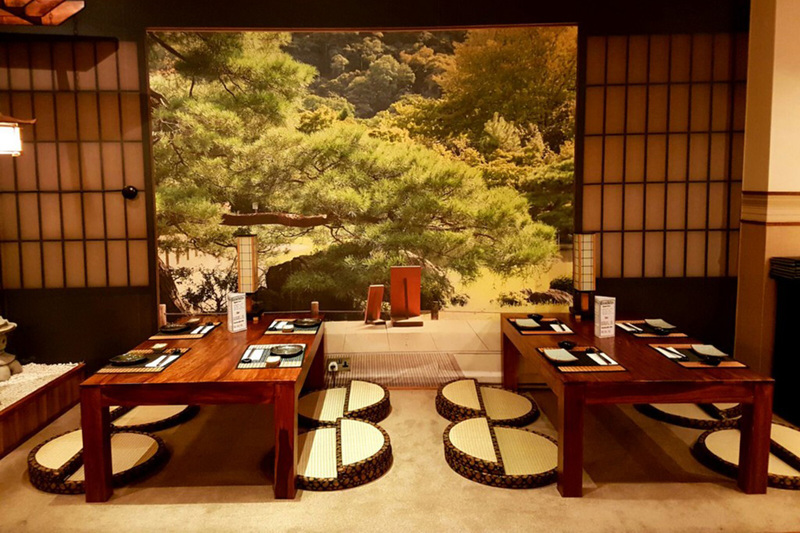 Starting from humble beginnings, Sushi Passion was originally located in the Indoor fish markets; housing only 6 seats. As of now, they are located in the more prestigious, Greater Western Arcade where they pride themselves on serving the freshest fish in Birmingham. From blowtorched eel to traditional nigiri’s Sushi Passion hones Japanese authenticity as well as expertly crafted food to produce nothing short of beauty. Makis, rolls and sashimi decorate the embellished bridges of their party platters, fused with stunning décor and respected chefs make this spot a definite place to visit. ‘Not a single fish we use is frozen! We have the freshest fish in Birmingham.’ States owner Michael Kubiak. An all you can eat sushi buffet. Good hot foods and a nice atmosphere. What’s not to like? Kyoto Sushi uses a service unique to Birmingham. Each table is given an order card from which they place their orders, each person may order 5 items from the menu at a set price of £19.80 per person for unlimited rounds. Everything on the menu is included except for the side orders which you have to pay separately. Nestled into the Arcadian this restaurant screams a good time with good food not to mention a wide selection of drinks and desserts. Rooftop restaurant with a view and great food this is a big-time favourite for a lot of people in Birmingham for Sushi. A very different environment as opposed to more traditional places with its loud music and cocktails but an experience you cannot miss. Great food and Sake Cocktails makes Rufoto a more unique sushi place but one worth the visit.